Legacy Touch offers an energetic, startup environment for top-performing professionals. 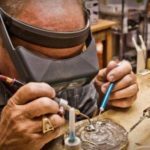 Our team is young, but able – offering our clients unrivaled expertise in biometric technologies and memorial keepsake manufacturing. Our continued success is allowing us to grow our already impressive team with individuals who are passionate about what they do and who enjoy a fast-paced environment. We are currently searching for the right person to join our team. 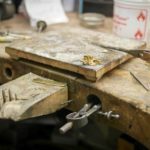 We are looking for someone who has experience in polishing, cleaning, and palladium/rhodium plating precious metal pieces. 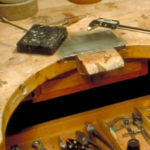 The position will also assist in jewelry repair. 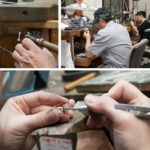 The Bench Jeweler is primarily responsible for polishing, cleaning, and plating pieces. This is a fast-paced, micro-manufacturing environment, as multiple orders are received and processed daily. 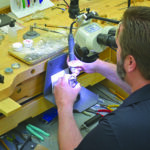 The Bench Jeweler will be expected to work quickly and efficiently with an eye for detail. All job functions will relate to the production of Legacy Touch consumer orders. 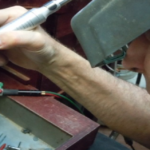 Equivalent work related experience as a dental technician, optician, or polishes or plates metals. 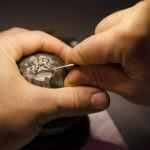 May consider someone that makes their own jewelry as a hobby. 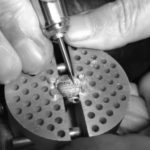 If not a bench jeweler, willing to train someone with experience as dental technician, optician, or worked with lathes and polishers. We know you will find Legacy Touch to be one the BEST work environments in Lee’s Summit and surrounding Kansas City Metro area. Learn more at www.LegacyTouch.com.